Vacation package includes guided cycling tours, bike rentals, farm-to-table alfresco lunches & wine tasting each day, two dinners at local favorite restaurants, vehicle support and deluxe accommodations. Our friendly, experienced tour guides and highly skilled catering staff will ensure this is a trip to remember. (1) Afternoon valley orientation and warm up ride. (2) Full Day guided cycling tour with professional tour guides. (3) Farm-to-Table alfresco lunches & local wine tasting. Bicycle rentals, helmets, & souvenir water bottles. SAG vehicle with mechanical support and refreshments. 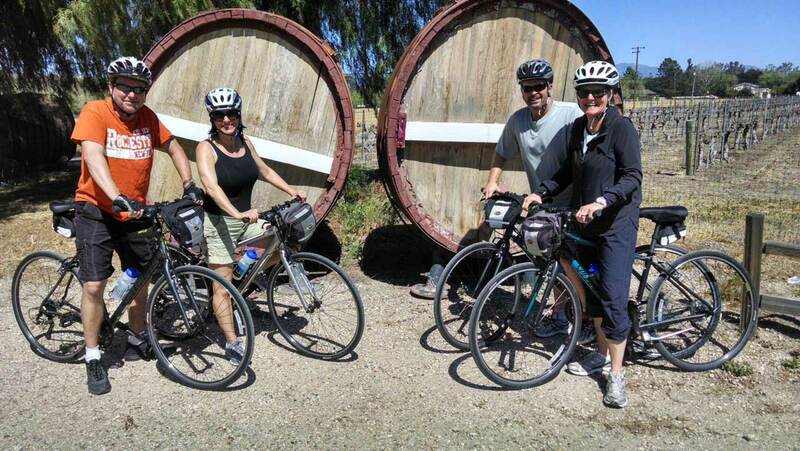 Santa Barbara Wine Country Cycling Tours is the premier cycling tour operator of the Central Coast of California. 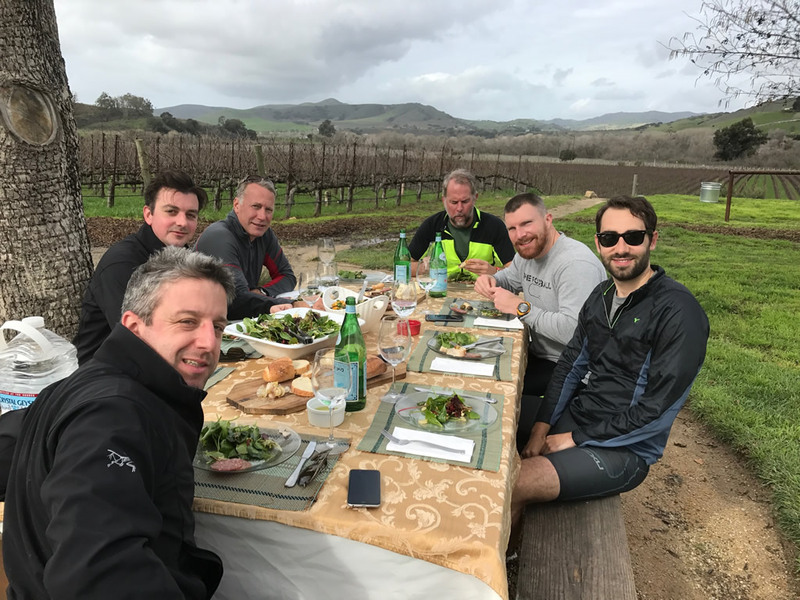 Established in 2005, we have refined the Santa Barbara Wine Country cycling experience and enjoy sharing the best of the region with our guests. Vacation package includes guided cycling tours, bike rentals, farm-to-table alfresco lunches & wine tasting each day, two dinners at local favorite restaurants, vehicle support and deluxe accommodations. Our friendly, experienced tour guides and highly skilled catering staff will ensure this is a trip to remember. 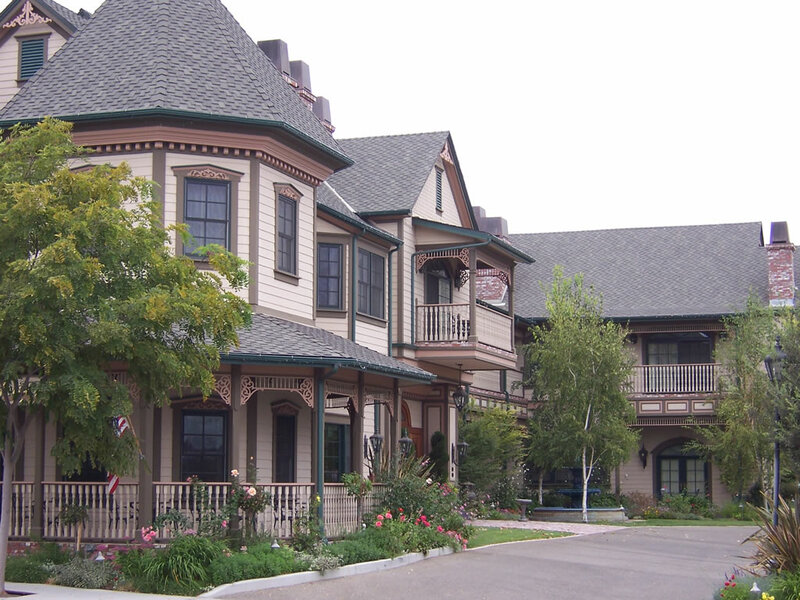 This elegant Victorian-style inn is located in the heart of the quaint town of Santa Ynez. The Inn is within walking distance of several restaurants and shops including a French bakery and coffee shop. The rooms are spacious and include an elegant breakfast served each morning as well as wine and cheese in the lobby in the afternoon. 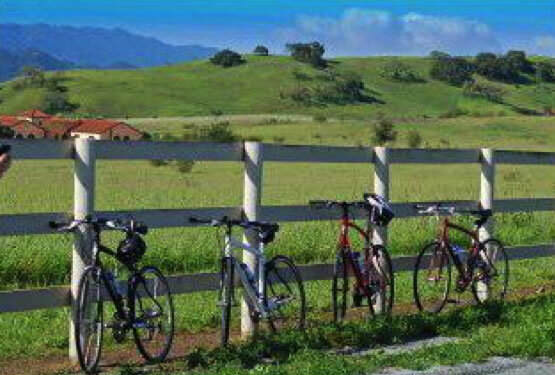 11:00 AM Meet at Santa Barbara Wine Country Cycling Tours in Solvang for introductions & bike fittings. This ride will take you through the heart of the Santa Ynez Valley with visits to a miniature horse farm, a century old one-room school house and olive oil tasting in the quaint town of Los Olivos. This tour includes a local’s favorite: the expansive Ballard Canyon Road. This idyllic road offers memorable views which often include a family of buffalo before descending past vineyard land back into Solvang. 3:30 PM Return to Santa Barbara Cycling Tours retail store. 7:00 PM Dinner at The Santa Ynez Kitchen; tax and gratuity included (alcohol excluded). 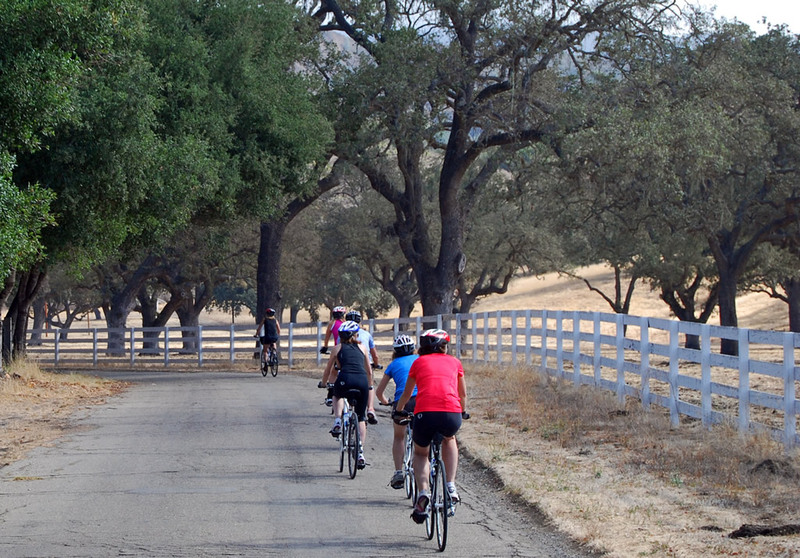 The Tour of Santa Ynez features the stunning Happy Canyon route through the foothills of the San Rafael Mountains. Your guide will bring you passed world-famous thoroughbred farms including the pastures where Secretariat retired and the movie Sea Biscuit was filmed. This part of our valley offers sweeping expanses and breath-taking views. For those seeking to accelerate their heart-rate, your guide will modify the route and lead you up a few turns of the road to Figueroa Mountain – a bucket list climb where the pros train. Both routes lead to Bridlewood Vineyard where a farm-to-table lunch will be served alfresco in the vineyard with wine tasting to follow. A short cool down pedal awaits you after lunch returning you to our store. 3:00 PM Return to tour shop and shuttle to hotel. Dinner on your own. Recommendations available. This ride takes you through the Santa Rita Hills AVA, home to the regions premier pinot noir grapes. This route along the Santa Ynez River travels west towards the ocean and includes two short, moderate climbs and the area’s most notable rolling hills. 12:30 PM Pedal to your table on the grounds of the beautiful Lafond Winery and relax as our catering staff serves you the best offerings of the season; fresh fruits, a Mediterranean salad, artisanal bread, cheese and local olives while you sit back and take in the surrounding views of the vineyard and river. Shuttle service available after lunch.